Posted by elizabethwong in International, Photography, Photojournalism, South Asia, Travel. 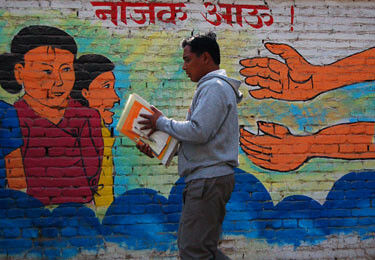 Reaching out (Kathmandu, Nepal), originally uploaded by Elizabeth Wong. 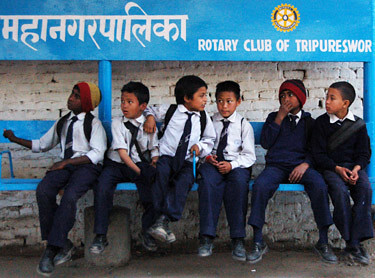 Bus-stop(Kathmandu, Nepal), originally uploaded by Elizabeth Wong. Posted by elizabethwong in History, International, Photography, Photojournalism, South Asia, Travel. 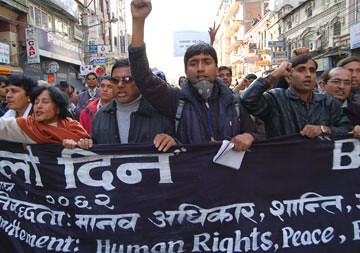 Human rights protest (Kathmandu, Nepal), originally uploaded by Elizabeth Wong. Human rights and democracy leaders trying reclaiming New Road from the military until they were hosed down. Stop Look Go (Kathmandu, Nepal), originally uploaded by Elizabeth Wong. 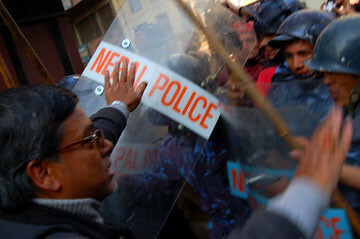 A leader trying to stop the police from beating one of the protestors during one of Kathmandu’s people’s rallies against the autocratic regime. Girl Interrupted (Kathmandu, Nepal), originally uploaded by Elizabeth Wong. A young leader from UML demanding her right of passage. 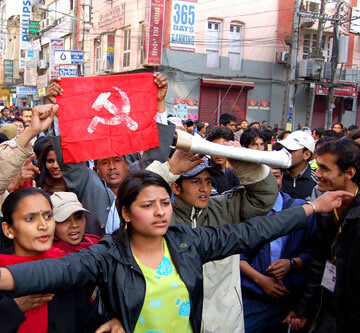 In April, the autocratic regime in Nepal retreated and parliament was reinstated. The last remaining Hindu Kingdom in the world is well on its way to becoming a republic.